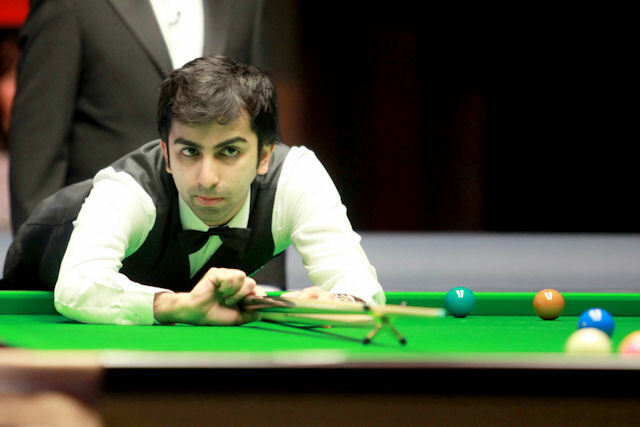 Pankaj Advani has decided to relinquish his place on the World Snooker Tour and resign his WPBSA membership, he announced at a press conference in India today. However the 29-year-old still hopes to compete in the Indian Open in Mumbai in October and will try to win a place as a wild card via the regional qualifier in Pune (September 15-19). “Finally I have decided to play in the Indian wild card event and the World Billiards which happens immediately after,” said Advani today. “If I am playing an Indian wild card, I have to let go my professional tour card. “I took this decision because I missed billiards and my family. I wouldn’t have been able to play billiards if I am based in England for six months. My sole objective has been to excel in both sports not just in one, and that will be possible if I am based in India. “I had good results in snooker. I enjoyed myself and learnt a lot – sportsmanship, the approach to the game, conditions – everything was top class and that’s what I wanted – to improve as a player. I am glad I could achieve it in my own way.